By giving up Paolo Taha, Ginebra has added size to its frontline in Julian Sargent. GINEBRA isn’t done moving pieces. 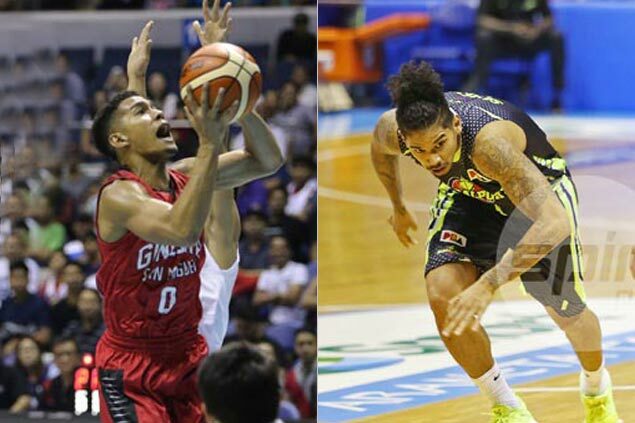 Just a day after acquiring Jeff Chan from Phoenix, the Gin Kings have traded seldom-used guard Paolo Taha to GlobalPort in exchange for tireless forward Julian Sargent. The Office of the Commissioner approved the trade on Tuesday. Taha, 27, barely made an impact in two years with the Gin Kings, who acquired the gritty guard from Mahindra in November 2016 in a trade for Denice Villamor and Frank Bonifacio. At Ginebra, Taha got buried in the team's loaded backcourt. He played an average of 3.3 minutes in the ongoing PBA Commissioner’s Cup. The former St. Benilde Blazer now returns to the Batang Pier, the same team which drafted him in the third round of the 2014 PBA draft before moving on to a solid stint with then-Mahindra (Columbian) back in 2016. Sargent, on the other hand, has had an up-and-down rookie career with GlobalPort, averaging 2.3 points and 1.7 rebounds in 9.6 minutes of action this conference. He will add size and muscle to a young wing rotation for Ginebra, which already features Kevin Ferrer and Aljon Mariano, together with veteran Joe Devance. The Gin Kings earlier received Jeff Chan from Phoenix on Monday in exchange of a 2018 first round pick.